Most Arizona consumers are very selective when it comes to choosing their phone service provider, deciding which gas station to go to save the most amount of money, or picking a car insurance company that has the cheapest rates. However, when it comes to saving on the costs of electric bills, very few residents know exactly what they are paying for or how to lower your costs. This article will lay out 10 different strategies you can do to help drastically lower your electricity bill so that you can save and spend money on the things in life that are really important to you. 1. Determine the cost per kilowatt-hour of electricity used per month. I know this sounds pretty confusing, but it is really simple, and will take you just a few minutes to figure out. To do this, take your total cost on the electric bill and divide it by the total kilowatt-hours. You’ll see how this step will save you money in the next few steps. Too many customers choose the standard plan because it is easier to understand. However, the standard plan will end up costing the most amount of money. A standard electricity plan, during the hottest months (May through October), can get very expensive, depending on the usage rate. However, with some of the other available plans, you have the option of having low-cost times and high-cost times, which can save you a fortune. In combination with tip #2 above, if you purchase a time of use plan, you can save a ton of money by using energy hungry appliances during the off-peak times. Since people are more likely to use things such as the A/C and fans during times of the day when it is really hot, utility companies really increase the prices during these times. Use A/C, turn your fan on, and use appliances during off-peak hours to save a ton of money. By running washing machines during non-peak hours, such as during nighttime and morningtime, your energy costs will go down substantially and you will save a good chunk of money. By doing this, you can help keep your house cool, so that during peak hours when the A/C is turned off, the house will still be at a nice temperature. Often time, utility companies offer lower costs to reel in unknowing customers only to impose what is called a “demand charge” on them. What this means is although energy costs are lower, which is great for saving money, a demand charge of over $13 will be given for every kilowatt (which is different than a kilowatt-hour) used during the hour that you use the most amount of energy during the month. In simpler terms, you will get charged substantially more during the day of the month that you use the most amount of energy. For example, if you decide to throw a party one night for all of your friends and family and you use a lot of energy, in the form of A/C, cooking, dishwasher, etc., the utility company will charge $13.50 per kilowatt used, which can drastically increase your bill by $100 or more. By closing your drapes, it helps to insulate your house and keep the heat away, which can greatly decrease your electricity bill. Taking showers uses less water. Instead of taking baths, try to take short showers instead to help save on energy costs! 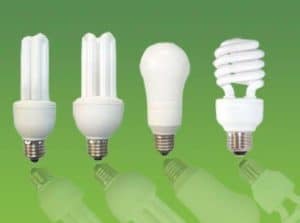 LED light bulbs are way more efficient and save up to $80 over the course of the bulb’s lifespan. 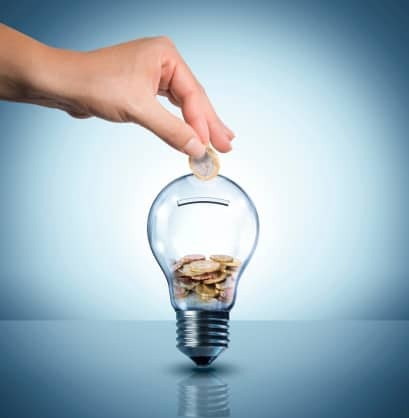 Using LEDs, as well as turning off unused lights, can help decrease costs on your energy bill. Using hot water costs a lot more in energy costs than using cold water. Whether it is your dishwasher, your laundry machine, or taking a shower, it can save a substantial amount of money if you use cold water, rather than hot water. Better yet, contact Turn It On Electric to install an energy saving water heater timer. This way your water heater will only heat water when you need it.